Home » Main Menu » News » The Skeptics reloaded with single ‘South Beach’. The Skeptics reloaded with single ‘South Beach’. Punk power pop quartet The Skeptics are no newcomers to the music industry. 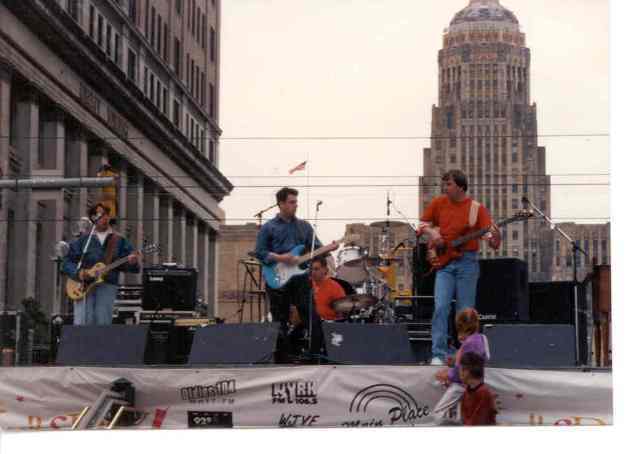 Formed in 1995 and with radio play, charting, and opening for bands like A.M. Buffalo and Nickel City Scene. Now after all these years The Skeptics have released a new EP and their latest single is ‘South Beach’, a super catchy song. As soon as I started listening I was transported back to the early 2000’s when I was constantly listening to songs with a similar sound. ‘South Beach’ won a a Bronze Medal at the Global Music Awards. Tom and Dave wrote two songs each for this EP. Add in Mark’s bass and Danny K’s drums and you have a EP worth checking out. You can listen to a ‘South Beach’ here.